Published Apr 28, 2017 By Julia 1 CommentThis post may contain affiliate links. 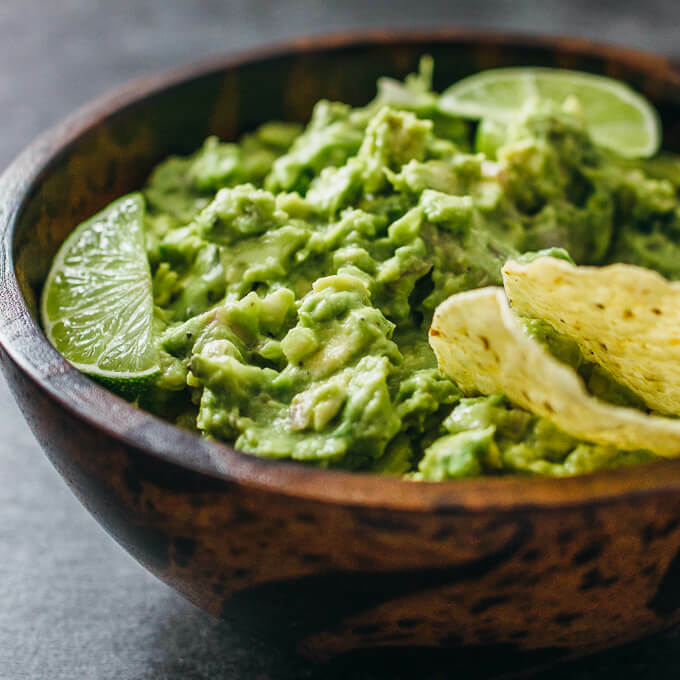 This is my best recipe for making a spicy guacamole dip — it’s healthy and easy to make with just a handful of ingredients. The vast majority (about 95%) of avocados produced in the U.S. are grown in southern California. This will come as no surprise to anyone who has ever lived in the area — avocados are everywhere, and I remember seeing them grow in my neighbors’ yards. 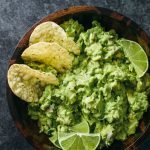 It’s one of my favorite ingredients, and I love using them to make easy guacamole burritos or shredded chicken burrito bowls for dinner, avocado egg rolls when I’m in a frying mood, and of course, guacamole dip. This dip is so good that occasionally I’ll buy a horde of avocados and make guacamole every day for lunch for a week. 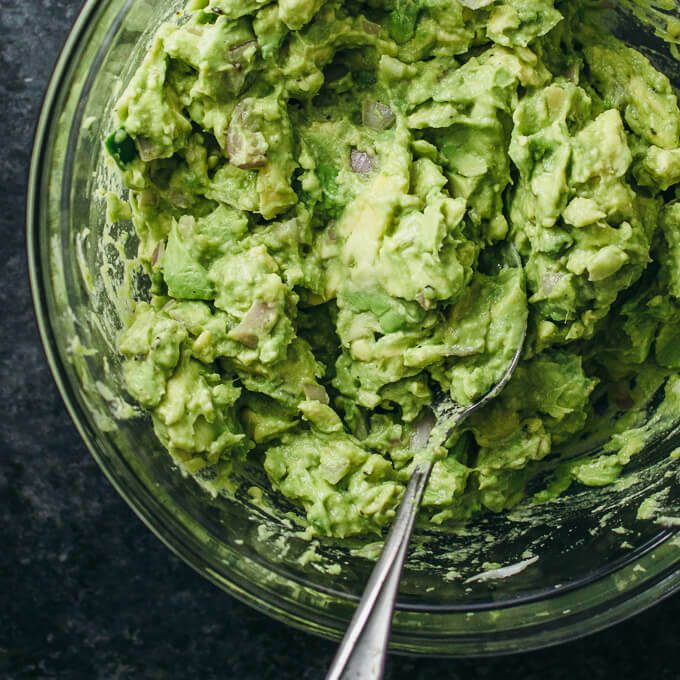 Let’s talk guacamole ingredients. 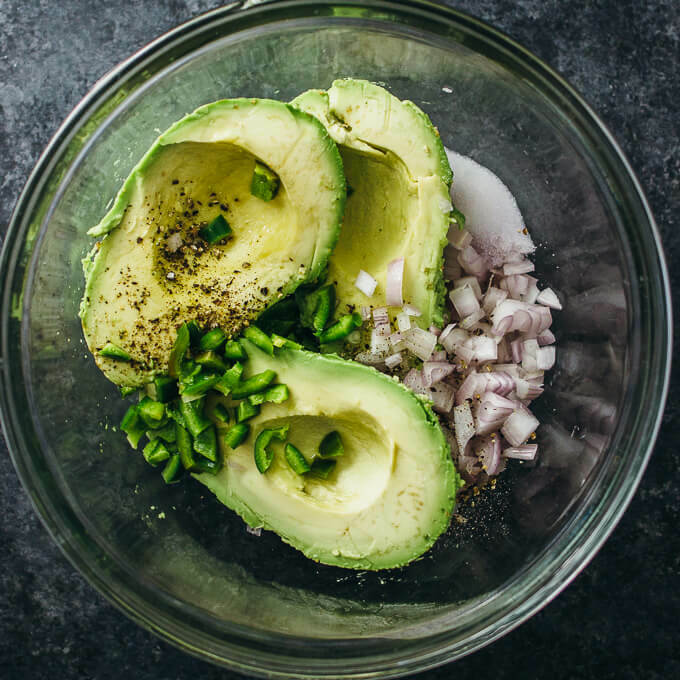 Besides seasonings such as salt and pepper, I include only four easy ingredients: avocado, jalapeño, shallot, and lime. These should all be fresh ingredients and unprocessed. You’ll notice that I’ve omitted cilantro; I don’t hate it, but not a big fan of it either. For avocados, I recommend buying unripe hard ones, and letting them ripen at home at room temperature over the course of a few days; I rarely have a good experience when buying ripe or nearly ripe avocados at the market. As for what to eat with this spicy guacamole dip, the world is your oyster. I typically eat it plain as a healthy snack alternative or spoon in some shredded cheddar cheese. Sometimes I’ll pair it with tortilla chips or pita chips as my vessel of choice. 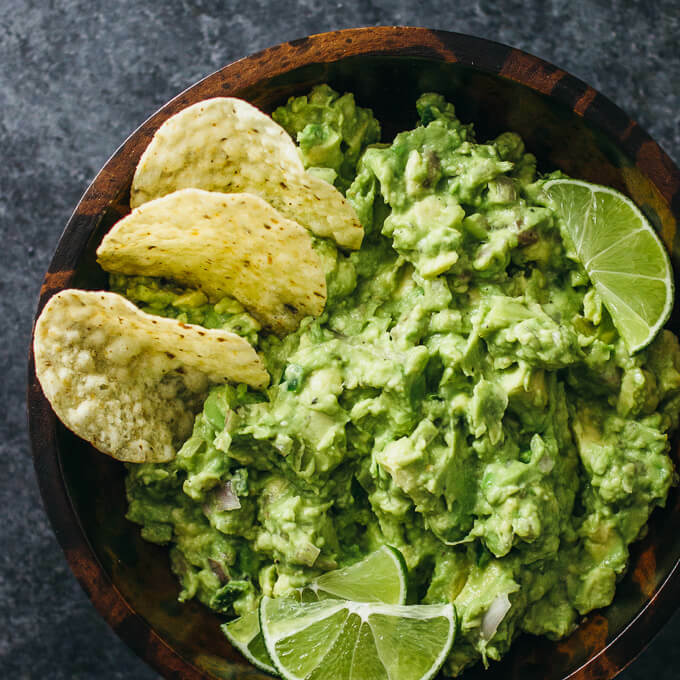 You can also get creative and use guacamole to make a multi-layer dip, or use it as a burger topping or quesadilla filling. 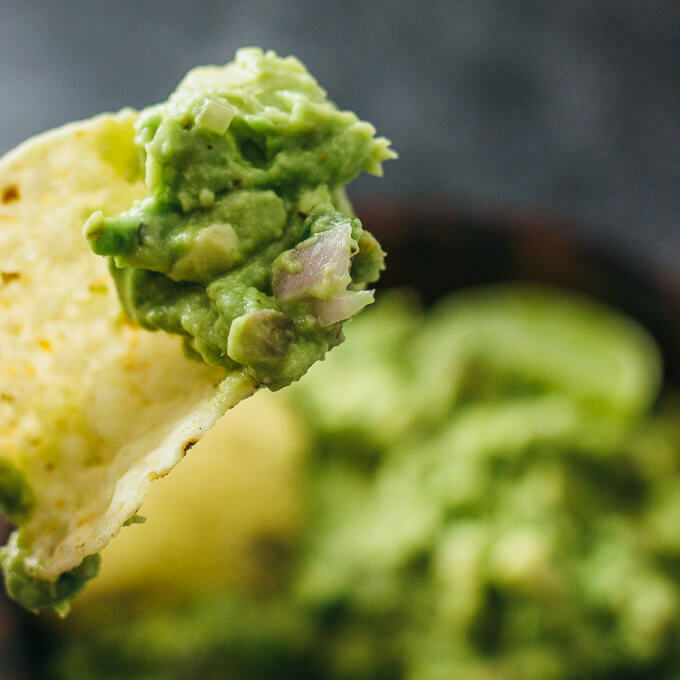 This is my best recipe for making a spicy guacamole dip -- it's healthy and easy to make with just a handful of ingredients. Combine all ingredients together in a bowl and mash to a chunky consistency. This recipe yields 5 g net carbs per serving. Nutrition information does not include chips. This was so simple. Thanks for sharing!